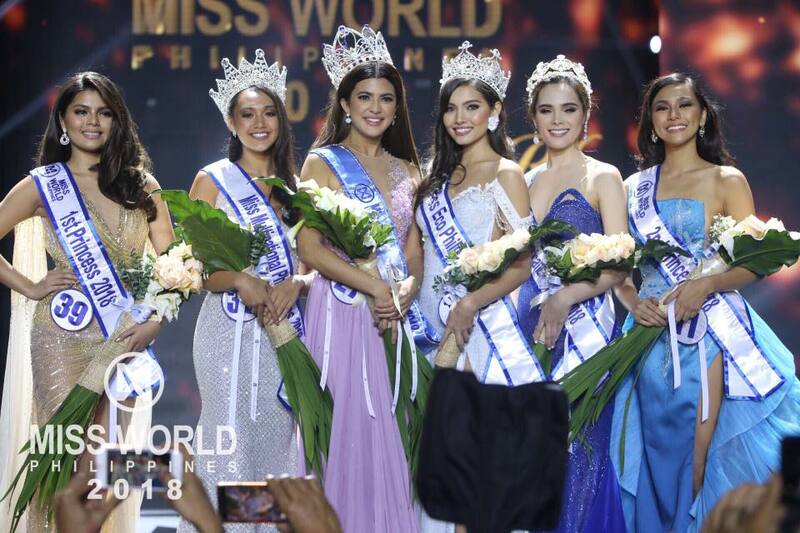 Katarina Rodriguez was crowned Miss World Philippines 2018 at the coronation night held at the SM Mall of Asia Arena in Pasay City. Katarina bested other 39 candidates from across the country. 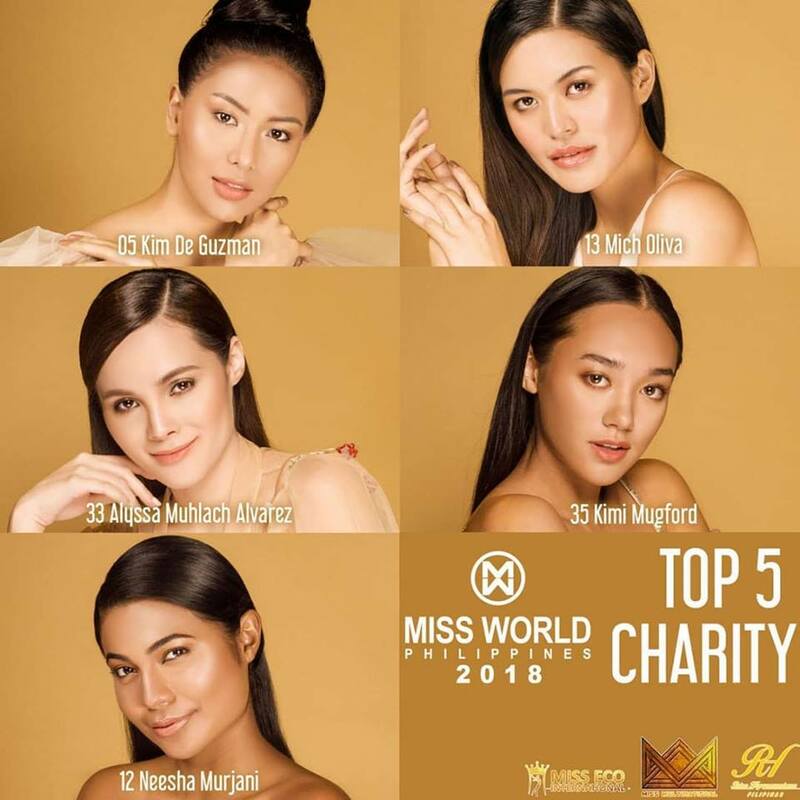 Katarina Rodriguez represented the Philippines in Miss Intercontinental 2017 where she placed as first runner-up after being crowned Miss Intercontinental Philippines 2017 at the Binibining Pilipinas 2017 pageant. She rose to fame after placing third in Asia’s Next Top Model (Cycle 2) in 2014. Maureen Montagne won Miss Eco Philippines 2018, Kimi Mugford clinched the Miss Multinational Philippines 2018 title, while Alyssa Muhlach Alvarez won Reina Hispanoamericana Filipinas 2018. Representing her hometown Chandler, Maureen Montagne competed in Miss USA 2015 placing in the Top 15. She was also one of the 4 grand winners in Century Tuna Superbods Ageless 2018 last April 12 for the Superbods category (Female, Age 30 & below). The coronation night was hosted by Miss World 1993 2nd Princess Ruffa Gutierrez, actress Carla Abellana, and Mister World 2012 Francisco Escobar (from Colombia). Miss World Philippines 2017 Laura Lehmann also served as a co-host in question & answer round of the program. Three (3) out of the 4 major titles given to Miss World Philippines 2017 winners were won by Philippines in the international stage: Miss Multinational 2018 Sophia Señoron, Reina Hispanoamericana 2017 Teresita Ssen Marquez, and Miss Eco International 2018 Cynthia Thomalla. 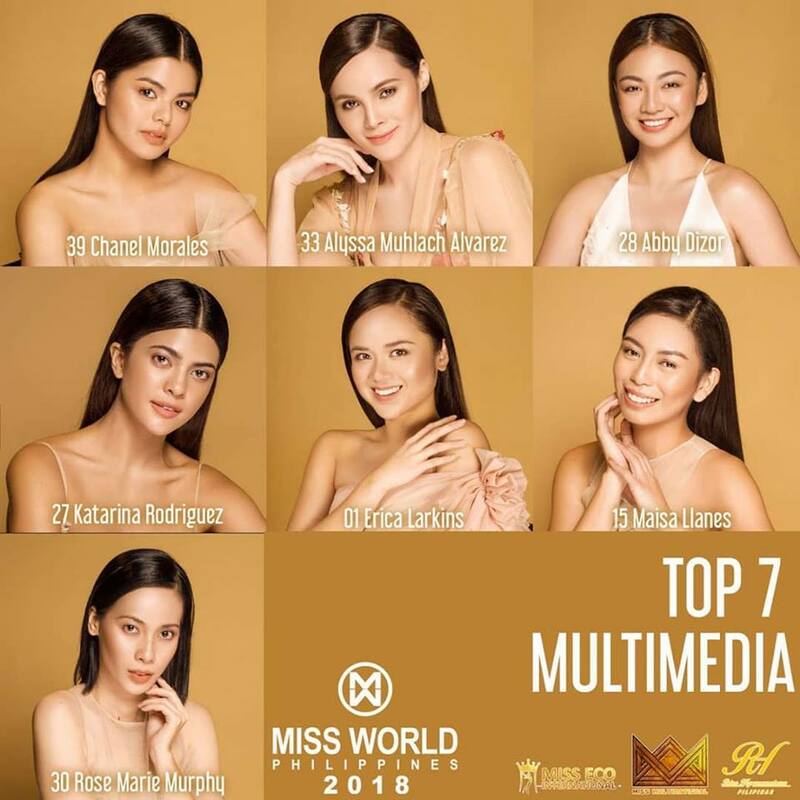 Miss Multinational is a new pageant based in India and that Sophia Señoron is the first winner. Reina Hispanoamericana started in 1991 which used to open only to Spanish-speaking countries. In 2017, it was the first time for Philippines to compete and Teresita Ssen Marquez won the title.